Home Uncategorized Introduction to Electrolyzed Reduced Water ( ERW ) . One of the earliest observations about the unique healing properties of water was first witnessed by residents in small villages around the world whose primary water source came from snow-capped, mountain runoff streams. The Alps, the Himalayan and Caucasus mountains have historically given water from these streams, seemed to have fewer diseases and lived longer. 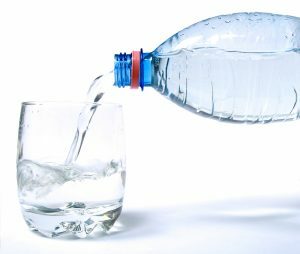 The Russians first observed and investigated the properties of this water, wondering if there was something unique in the water that might explain the apparent longevity and healing properties to residents who drank this water. They noted the water was alkaline (pH 8.5-9.5), high in oxidation reduction potential (negative ORP), and micro clustered in structure. Upon this discovery attempts were made to recreate this same water in the laboratory. Due to their awkwardly large size and cost they gave up on efforts to manufacture the machines to recreate this water for consumer use. However, in the early 1950s Japanese scientists picked up where the Russians left off. Within a few years the Japanese had manufactured a smaller, estimated that approximately 20 percent of Japanese households currently use water ionizers. They are also used in hospitals in Japan for treatment of cancer, heart disease, diabetes, gangrene and eczema. Electrolyzed Reduced Water ( ERW ) is water that has been exposed to an electric current called Electrolysis which separates the charged particles. During ionization, positively-charged ions are drawn to the negative electrode. Negatively-charged ions are drawn to the positive electrode. Ions with a positive charge like calcium, magnesium, sodium, and potassium raise the pH and produce alkaline water. Negative ions including phosphorous, chlorine, and sulfur lower the pH and produce acidic water. As I learned in Japan, both types of water are beneficial when used in specific ways. The chemistry of electrolysis was discovered by Michael Faraday (1791-1867). In the process, electrons are added (reduction) at the cathode side of semi permeable membrane and electrons are removed (oxidation) at anode. But ionization transforms the resulting water in ways that go beyond the separation of ions. There are three main changes that occur to water during the ionization process. These changes can be responsible for many health benefits when you use the water. Molecular hydrogen has recently been confirmed by many peer-reviewed journals as the most effective and versatile antioxidant for biological systems. Over 100 research studies have been conducted that show the potential benefits of hydrogen as an effective therapeutic modality for many different diseases. Hydrogen has also been proven as a powerful tool for athletes in performance as well as recovery. Why is hydrogen so effective? Molecular Hydrogen is the smallest molecule in existence: Because hydrogen is so small, it can penetrate deep into the cells to eliminate free radicals at their source, in the mitochondria. (Representation of the molecular weights of different antioxidants vs. hydrogen shown below) Also due to its size, hydrogen can easily cross the blood-brain-barrier to eliminate free radicals in the brain. Micro-clustering _ Reduction in the nuclear magnetic resonance energy of the H²O molecule. In the chemistry of electrolysis, by convention, the positively charged hydrogen (H+) ions flow towards the anode while the negatively charged hydroxyl (OH-) ions flow towards the cathode. Consequently, electrolysis separates these constitute the “acid” component of the water and the hydroxyl (OH-) ions make up the “alkaline” component. The term pH stands for “potential Hydrogen”. The more hydrogen (H+) ions are concentrated in a solution, the more acidic it is. While the full pH scale range is from 0 to 14, anything below a pH of seven is considered acidic and anything above seven is considered alkaline (or basic). In the human body, pH is critical especially in your blood. The pH range that is considered to be normal for blood is between 7.30 and 7.45. Blood pH is a direct indicator of how much oxygen is available for your cells. Blood at a pH of 7.45 contains 65% more excess oxygen than blood at a pH of 7.3.4 Lack of oxygen and the resulting metabolic acidosis is a component of just about every disease we know. Nobel prize-winning research in the 1930s and 1940s by Dr. Otto Warburg revealed that cancer could not live in an oxygen-rich environment. His research provided evidence that oxygen-starved cells switch to another mechanism for producing energy one that does not require oxygen and one that is capable of surviving in an acidic environment. Since his original research, most disease has been linked with the lack of oxygen and the build-up of acidic wastes. In today s world, most people s bodies and blood are more acidic than they should be. This is the result of poor diet (heavy in sugar, soft drinks, excessive protein, and refined carbohydrates), dehydration, stress, and environmental pollutants. Each of these contributes to acidosis and unfortunately also to disease and premature aging. The second change that takes place in water during ionization is in the oxidation/reduction potential (ORP). ORP is a measurement of the strength of the oxidizing or reducing power of a solution. Oxidation and reduction reactions involve an exchange of electrons. A negative ORP measurement indicates a surplus of electrons the more negative the number is, the greater the number of surplus electrons. A positive ORP measurement indicates instability. A solution with a positive ORP is hungry for electrons. Most hydrogen in nature is found as hydrogen gas (H²) or as hydrogen ion (H+), where the electron is absent because the single proton in the nucleus of hydrogen exerts a weak pull to hold onto the electron. Active Hydrogen is a hydrogen atom that holds its electron. This extra electron is electrolysis process nanoparticles created through the electrolysis process during which platinum coated plates are charged with an electrical current. Water that is rich in active hydrogen will therefore have a negative ORP. The more negative the ORP value, the more free radical neutralizing electrons the water contains and the stronger its antioxidant properties. This extra electron is able to react with other compounds in the body to control Redox electric field inside the cell and serve as a rich source of antioxidants that can neutralizing some of the harmful effects of free radicals, helping to restore the health and balance of the cell. Perhaps one of the most significant features of i Electrolyzed Reduced Water ( ERW ) is its ability to hydrate cells. The precise explanation for this mechanism has not been clearly established. Since we now understand that water penetrates cell membranes through specific protein channels, it is conceivable that in states of oxidative stress these protein pores may become damaged and somewhat dysfunctional. This could theoretical impair cellular hydration. By drinking anti-oxidant rich alkaline water, it is not a stretch to be restored to their healthy state, allowing for improved entry of water into the cell, thus allowing optimal cellular hydration. Is Electrolyzed Reduced Water ( ERW )Water Safe? The great thing about hydrogen is that any excess hydrogen will dissipate from your body because it is so small. Because of this there is no risk of build-up in the cell. How Can Hydrogen Electrolyzed Reduced Water ( ERW ) Help You? which makes it a very potent antioxidant. Soft drinks, sports drinks, and even most bottled waters have acidic pH and positive ORP. That means they’re actually oxidizing your body and contaminating you with free radicals. Free radicals accelerate aging (wrinkles) and poor health. 1 Jhon, M. S., The Water Puzzle and the Hexagonal Key, Uplifting Press, 2004, pp 58-61. 3 Batmanghelidj, F. MD, Water for Health, for Healing for Life, Warner Books, 2003. 4 Whang, S. Reverse Aging 1990, pg. 21. 5 Warburg, O. On the Origin of Cancer Cells, Science, 1956, Vol. 13, No. 3191, pp. 309-314. 6 Batmanghelidj, F. MD, Water for Health, for Healing for Life, Warner Books, 2003, pp. 93-94. 7 Whang, S. Reverse Aging 1990, pg. 51. Gerontology Series A: Biological Sciences and Medical Sciences, 1996. Vol. 51, Issue 1 B91-B99. 10 Vorobjeva NV,et al. The bactericidal effects of electrolyzed oxidizing water on bacterial strains involved in hospital infections. Artificial Organs, 2004 Jun;28(6):590-2. 11 Pangman, MJ Hexagonal Water: The Ultimate Solution, revised edition. Uplifting Press, 2007, pp 10-13. 13 Jhon, M.S. The Water Puzzle and the Hexagonal Key, Uplifting Press, 2004, pg.67. 18 Pangman, MJ Hexagonal Water: The Ultimate Solution, revised edition. Uplifting Press, 2007, pg. 7. 20 Whang, S. Reverse Aging 1990, pg. 55. 21 Soyka, Fred, The Ion Effect, Bantam Books, 1991.